Odometry is the use of data from the movement of actuators to estimate change in position over time. 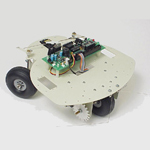 Odometry is used by some robots, whether they be legged or wheeled, to estimate (not determine) their position relative to a starting location. This method is sensitive to errors due to the integration of velocity measurements over time to give position estimates. Rapid and accurate data collection, equipment calibration, and processing are required in most cases for odometry to be used effectively. Once submitted, we will try and place you in contact with a suitable Odometry supplier within 48 hours. 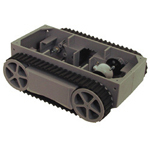 RP5 Tracked Chassis from Active Robots Ltd.
MRK-02 Mobile Robotic System from RuSec security systems Inc.
Koala High Precision Mobile Robot from AAI Canada, Inc.